In a previous post and elsewhere (e.g. here Biological Theory 2(1) 10-22 gated and here Spontaneous Generations ungated ) I suggested extending Van Valen’s definition of evolution to incorporate development and ecology and to acknowledge the fact that there are two distinct pathways to evolution by natural selection. New genes can reconstruct old environments or new environments can reinduce the expression of old genes or both, but even if both, one or the other is likely to lead and the other to follow initially. In an article this month (Trends in Ecology and Evolution V26#3 here), Schwander and Leimar call the first “genes as leaders” and the second “genes as followers”. P. Z. Myers once exquisitely analysed an experimental case on Pharyngula here (a case originally published by H. F. Nijhout in Science). It is important that the possibility of “genes as followers” not be misunderstood as sneaking Lamarckian explanations for adaptation in by the back, or should I say by a side door! Environmental influences on phenotypes beyond the historically experienced range, just as novel genes expressing a norm of reaction beyond that historically expressed, are more likely to be maladaptive than adaptive – which is not to say that either cannot have a selective effect – albeit one usually negative, at least at first. Now to the new development. Schwander and Leimar make the novel (but in retrospect obvious) proposal that which direction change has taken place in any particular case can be detected using phylogenetic methods. Recall that Darwin said that his theory of descent with modification was composed of two great principles – “the unity of types” (i.e. history) and the “conditions of existence” (i.e. natural selection). 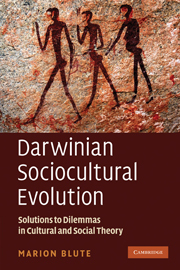 Since the work of Harvey and Pagel in the late 1980s and early 1990s, it has become common in evolutionary ecology, and even in some cases in anthropology, to control for the former in testing particular hypotheses about the latter. However such methods have never before to my knowledge been applied to this question. Schwander and Leimar apply “ancestral state reconstruction methods” to the question of how commonly switches (and losses) have taken place between genetic polymorphisms and polyphenisms. They admit to many limitations of their study. They consider only discrete and not continuously varying characteristics. They use selected examples, i.e. the evidence is anecdotal. Nevertheless, by mapping genetic polymorphisms and polyphenisms (as well as losses) for the same phenotypic characteristics in the same larger group such as winged and winglessness in carabid beetle species and right and left handedness in Heteranthera plant species for example onto their phylogenies, they have begun to pave the way towards answering this fascinating question. Bravo!